It came from a new ABC News/Washington Post poll. 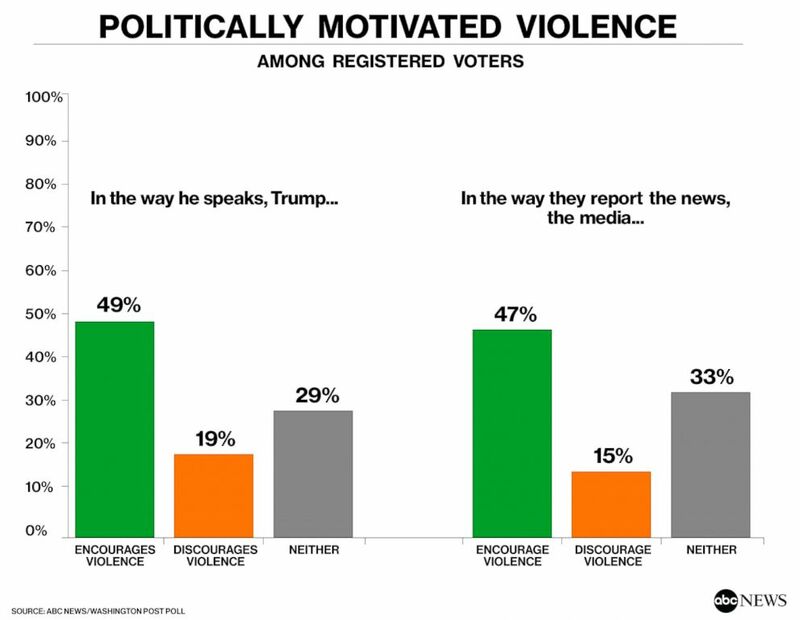 • Forty-nine percent say the way Trump speaks encourages political violence, while a mere 19 percent see him as discouraging it. Twenty-nine percent say he’s neither encouraging nor discouraging violence – a subject on which neutrality is not a positive attribute. • Trump, for his part, has blamed the media for contributing to “anger and division” in the country, and 47 percent in this survey say the way the media report the news encourages politically motivated violence. Only 15 percent say the media are discouraging such violence; 33 percent say they’re neither encouraging nor discouraging it.